Businesses today are more digitally-focused than ever and they are turning to hard drives to store their sensitive and proprietary information. Because of the high risk of hackers and constant security breaches, it’s absolutely necessary for companies to destroy hard drives and other digital storage devices for safety, and we can help with the hard drive destruction costs. Keeping sensitive information confidential and safe is a necessity – especially client/employee contact information, healthcare information, or even proprietary data. Deleting confidential files from company hard drives do not guarantee that they can’t be retrieved again. There’s always someone out there with the technological skills to access your data, even though you believe it’s gone. The latest statistics from the National Association for Information Destruction (NAID) state that about 40% of digital devices and hard drives are not wiped clean enough to keep data safe from theft. That information is easy enough for the average high school student to retrieve. If you haven’t already been shredding your hard drives, you need to be doing so. This process can be costly if your company chooses to facilitate it on their own. 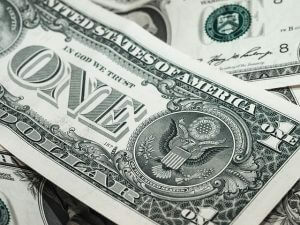 However, there’s a way to manage the hard drive destruction costs – hire a professional shredding/destruction service. Industry experts will always recommend that you hire a professional shredding company to destroy your hard drives. These shredding services provide the most cost-efficient and secure destruction of hard drives and other digital storage items. Spending your dollars on burning the disk is not a solution because there are toxic chemicals that are released from this process. Soaking the drive in diluted hydrochloric or muriatic acid will work, but may also give off toxic fumes. It’s clear, having a professional handle this process makes the most economical sense, since wiping data from a hard drive can be dangerous. Medical facilities, educational institutions, even small businesses deal with confidential data and in order to stay in business, they must remain compliant with current privacy regulations. Professional shredding services typically provide a certificate of destruction in order to comply with privacy laws like HIPAA, HITECH, FACTA and GLBA. IntelliShred, provides cost-effective, secure, mobile shredding and hard drive destruction services. Our state-of-the-art mobile shredding and destruction trucks come directly to your location and destroy your hard drives and other materials on site. We provide you with a destruction certificate that guarantees your hard drives have been properly destroyed, while keeping hard drive destruction costs down. We’re also helping save the environment by ensuring all destroyed materials are sent to their appropriate recycling centers. 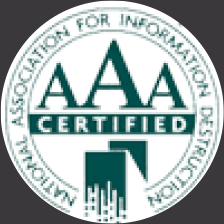 The National Association for Information Destruction (NAID), is a trade organization which provides a voluntary certification program for member companies that provide information destruction services. 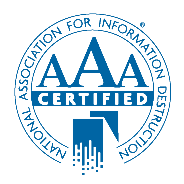 IntelliShred has earned the NAID’s AAA Certification and we only send electronic waste to certified recycling partners that comply with federal and state regulations. Whatever shredding service you hire, be sure they are NAID certified. At IntelliShred, the safety of our customer’s information is our number one priority – contact us today for hard drive destruction costs or find out more about our comprehensive shredding and destruction services.